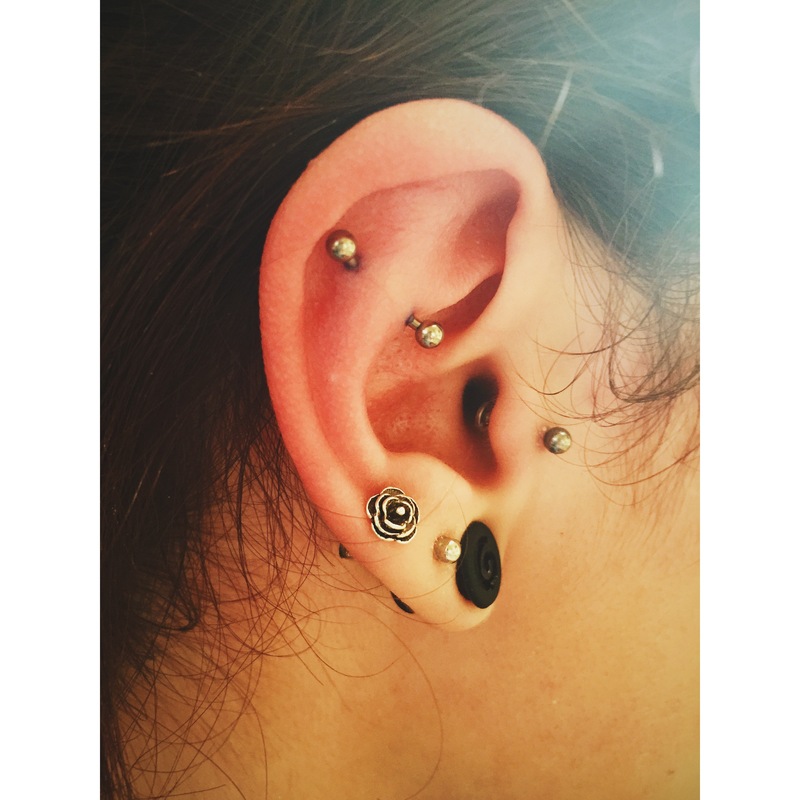 Great shot of Natasha’s tragus pierced w/1.2mm titanium labret bar. 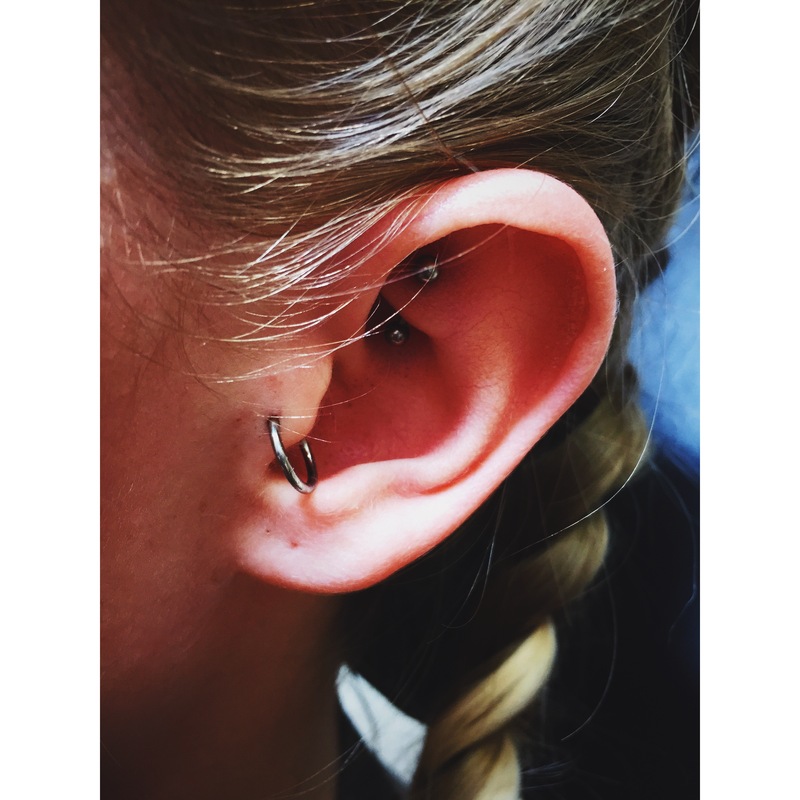 This entry was posted in Customers Photos, Piercing Portfolio, Tragus Piercings, Uncategorized and tagged Body Mods, Body Piercer, Body Piercing, Customers Photos, El Capitan, Greenwich, London, Piercing Portfolio, SE10, Shiva Piercings, Tragus Piercings. Bookmark the permalink. Aileen’s tragus and top-ear/helix double piercings w/1.2mm titanium labret bars pierced by El Capitan @ Shiva Piercings. 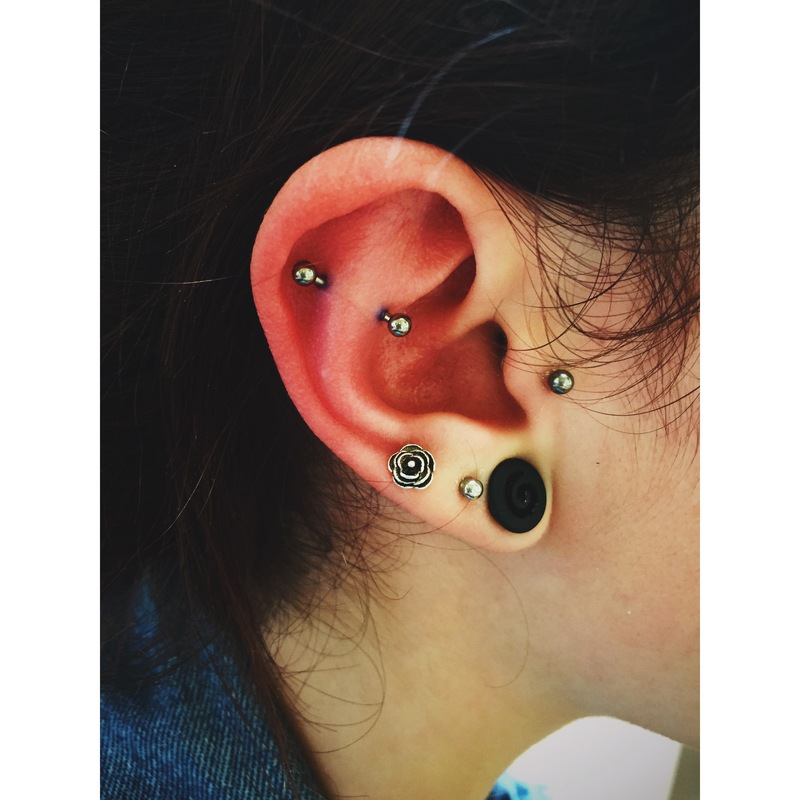 This entry was posted in Piercing Portfolio, Top Ear / Rim Cartilage Piercings, Tragus Piercings and tagged Body Mods, Body Piercer, Body Piercing, Cartilage Piercings, Double Piercings, Ear Piercings, El Capitan, Greenwich, Helix Piercings, London, Piercing Portfolio, SE10, Shiva Piercings, Top Ear / Rim Cartilage Piercings, Tragus Piercings. Bookmark the permalink. 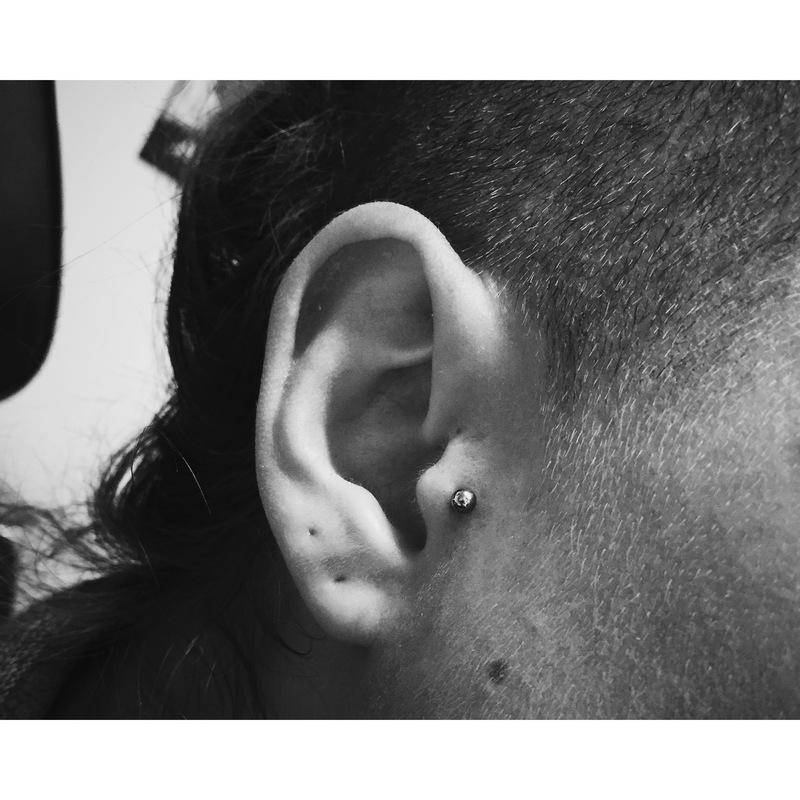 Here’s Oscar’s ear with a healed lobe and helix piercing w/1.2mm blackline BCR. Fresh tragus addition w/1.2mm blackline labret bar. Again, always a pleasure piercing so many awesome people! This entry was posted in Lobe Piercings, Piercing Portfolio, Top Ear / Rim Cartilage Piercings, Tragus Piercings and tagged Blackline, Body Mods, Body Piercer, Body Piercing, Ear Piercing, Ear Piercings, Ear Werk, Ear Work, El Capitan, Greenwich, Helix Piercings, Lobe Piercings, London, Piercing Portfolio, SE10, Shiva Heads, Shiva Piercings, Titanium, Top Ear / Rim Cartilage Piercings, Tragus Piercings. Bookmark the permalink. New Shiva staff member, the lovely Josie had her tragus pierced by myself w/1.2mm x 8mm titanium labret bar. Welcome to the team! 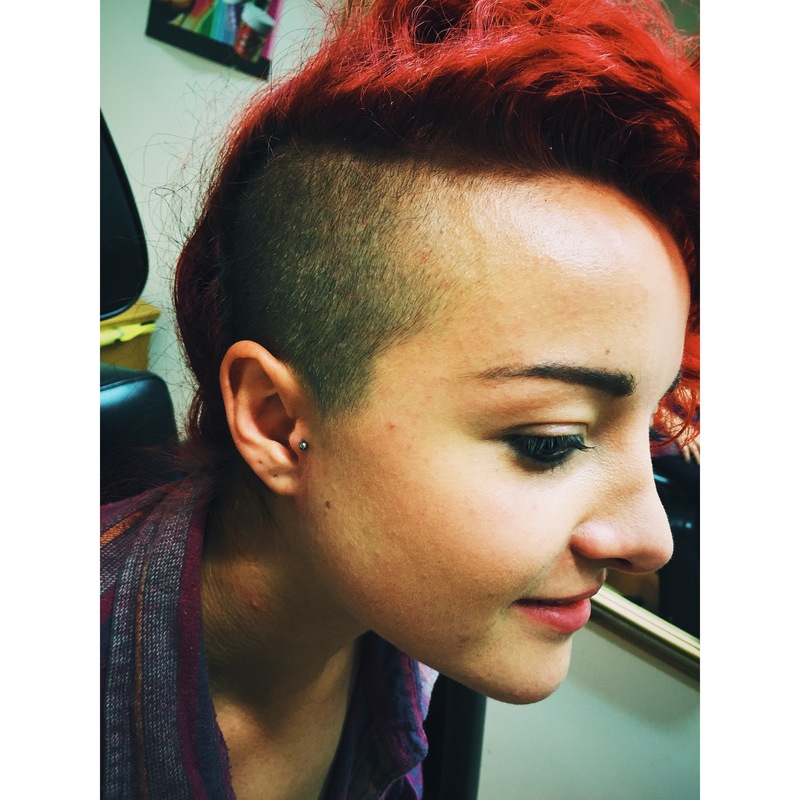 This entry was posted in Piercing Portfolio, Tragus Piercings and tagged Body Piercer, El Capitan, Greenwich, London, Piercing Portfolio, SE10, Shiva Crew, Shiva Heads, Shiva Piercings, Shiva Team, Titanium, Tragus Piercings. Bookmark the permalink. Lois’ healed tragus and rook piercings, pierced a year prior with new additional inner-pinner/forward-helix and anti-tragus piercings w/1.2mm titanium curved bars. 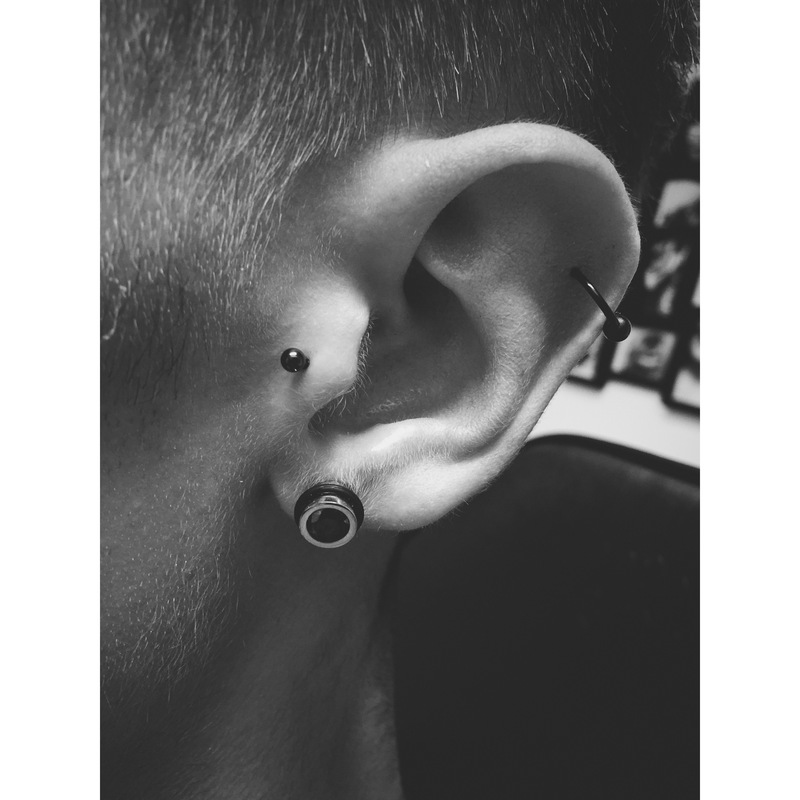 The healed tragus has been switched up to a 1.2mm segment ring. 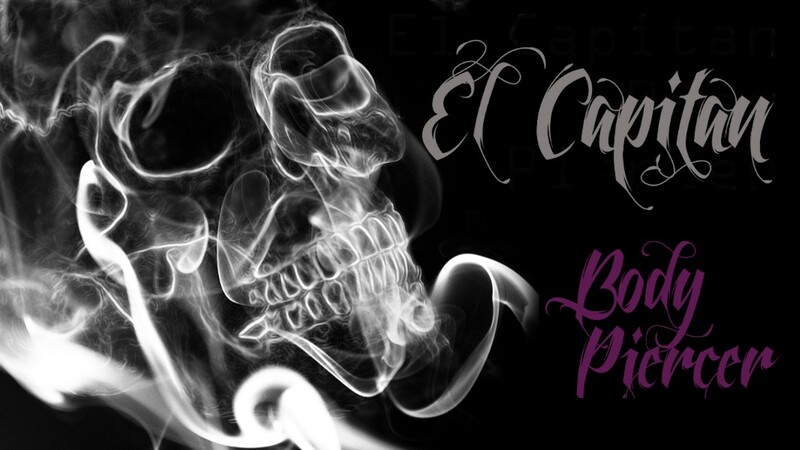 It’s a pleasure to meet the many wonderful customers/clients who enjoy coming to El Capitan for their body piercing. 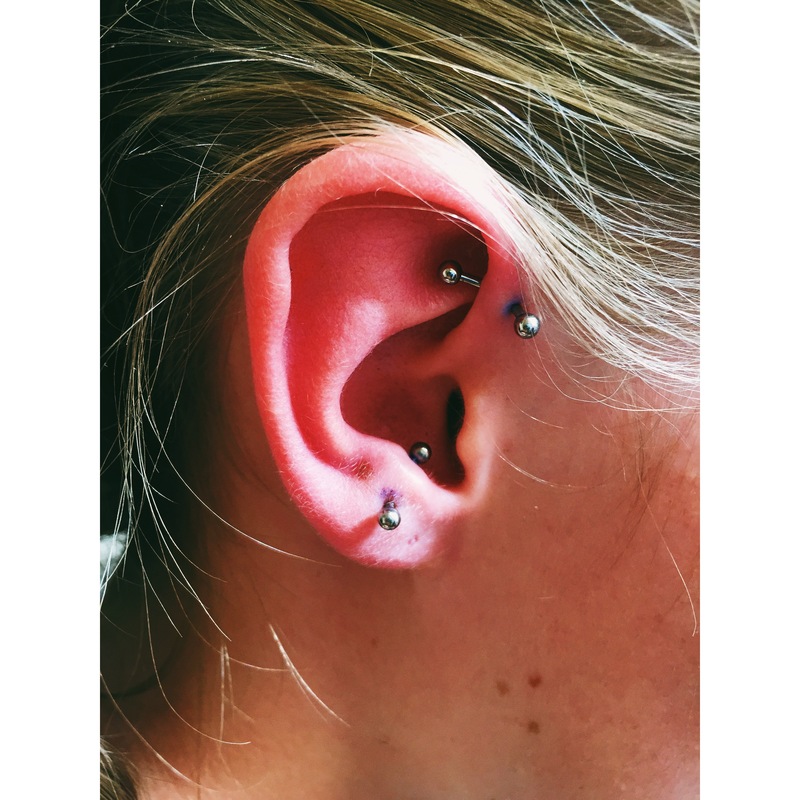 This entry was posted in Anti-Tragus Piercing, Inner Pinner/Forward Helix Piercings, Piercing Portfolio, Rook Piercings, Tragus Piercings and tagged Anti-Tragus Piercings, Body Mods, Body Piercer, Ear Cartilage, Ear Cartilage Piercings, Ear Piercing, El Capitan, Greenwich, Inner Pinner/Forward Helix Piercings, London, Piercing Portfolio, Rook Piercings, SE10, Shiva Piercings, Titanium, Tragus Piercings, Various Ear Work. Bookmark the permalink. 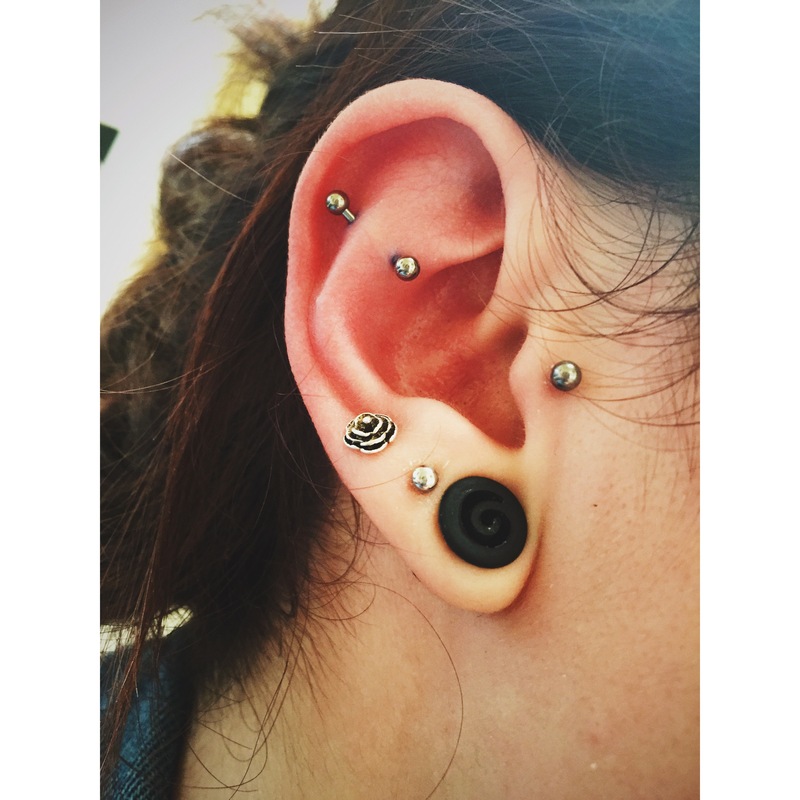 The lovely Charlotte requested a snug – drifting between a snug and an outer conch ear cartilage piercing – which I was more than happy to do! 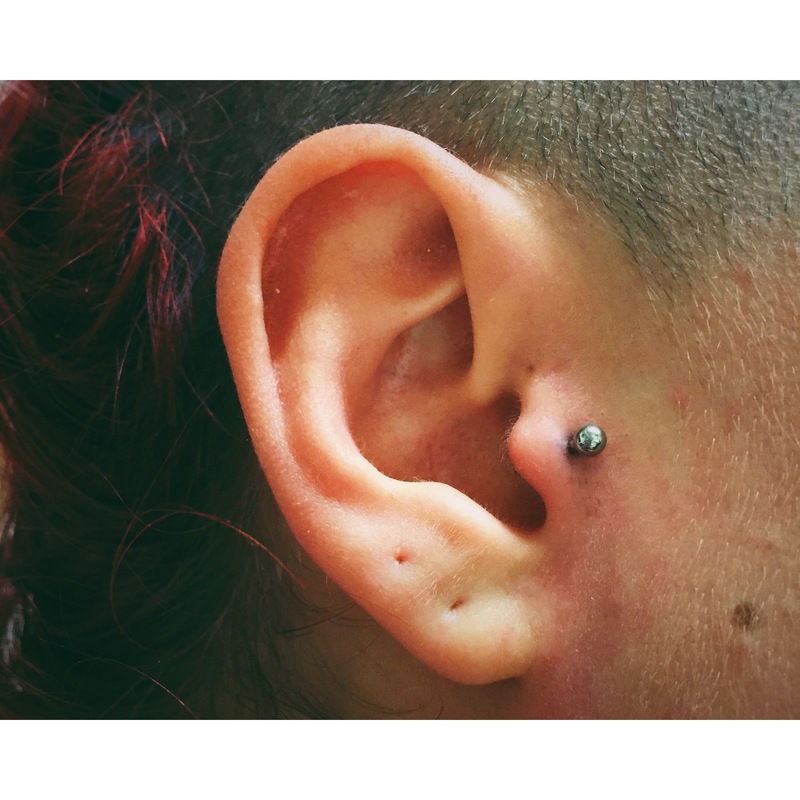 👊😷💉 having previously pierced Charlotte’s tragus (pictured) and tongue (pictured elsewhere in my portfolio) I know Charlotte always looks after her piercings; this drifted snug was pierced w/1.2mm curved titanium bar. This entry was posted in Custom Work, Piercing Portfolio, Snug Piercings, Tragus Piercings and tagged Body Mods, Body Piercer, Body Piercing, Custom Work, El Capitan, Greenwich, London, Piercing Portfolio, SE10, Shiva, Shiva Piercings, Snug Drift, Snug Piercings, Titanium, Tragus Piercings. Bookmark the permalink.